Set thumbnail size, aspect ratio and thumbnail quality as well as other thumbnail gallery settings here that will be set for each gallery as the default. Set slideshow size, transition effect, and other options including flash. Set the default template for imagebrowser. 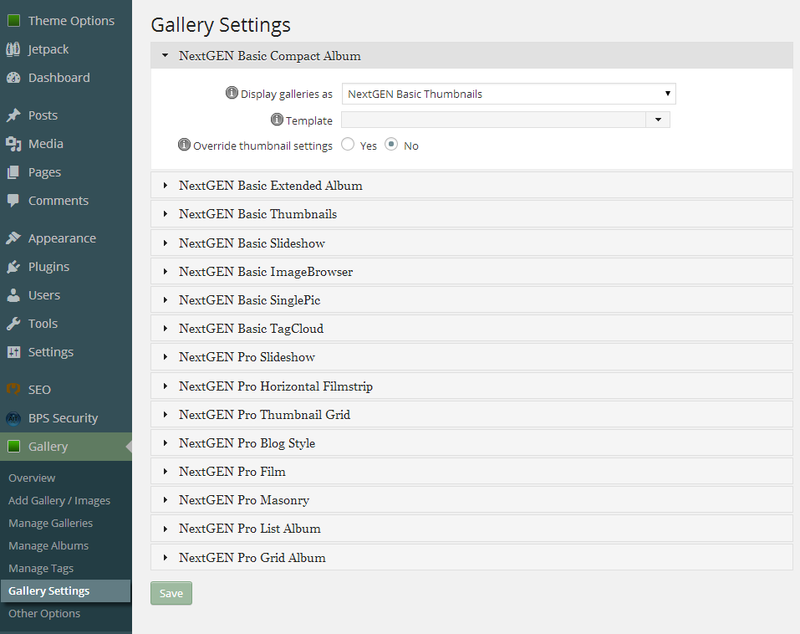 Set the default style settings for single images inserted into a page or post from a previously created NextGEN Gallery. Set the default gallery style to display when tag link is selected in tagcloud.